Starbucks‘ newly introduced rare and delicious Single Origin coffees from across the globe are ready for you to explore! Starbucks wants it’s customers to travel and explore, even if that means just your morning coffee! 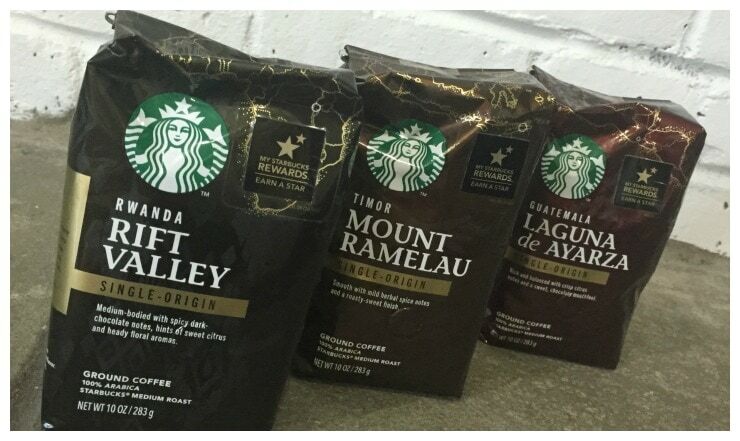 With these new coffees, just like wine, you can explore unique flavors from the most distinct places on earth…and you can taste the characteristics that make each place extraordinary. Each coffee was really excellent…must tries for those that really appreciate the differences in each coffee they try. Mix it up, people…variety is the spice of life. And what better way to spice up your day than with an awesom cup (or 3) of Starbucks Single Origin Coffee? To keep with the exploration theme, I went “old school” on this thing, though it was a new way to brew for us. 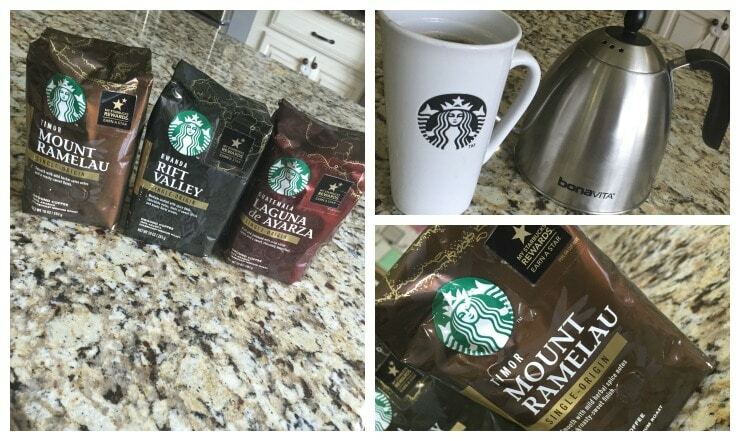 Bill and I approved…the Bonavita Stovetop Gooseneck Kettle is amazing! A must try. It’s so easy to use and really produces a strong, pure, and very tasty pot of coffee. It will remind you or your Italian mother or grandmother percolating the espresso on the stove…just perfect. Starbucks keeps pushing the limits of what coffees it offers, hoping to expand everyone’s knowledge and pallets at the same time. If you are a coffee lover, a person that likes to try unique foods, or just curious to see if you can really see a difference, I think it’s worth giving these new coffees a shot. Don’t forget, you get one of those lovely My Starbucks Rewards star with each purchase too! Check out the site to get a coupon, too!